AUSC office of the president Announcing the recent AUSC Projects initiation. 1.AUSC's " 1st PAN-AFRICAN YOUTH CONGRESS" ,to take place in August 30th- 1st September , 2017, in Kigali -Rwanda, where soon the Online Registration link will be available on the AUSC International Website[www.africanunionsc.org]. 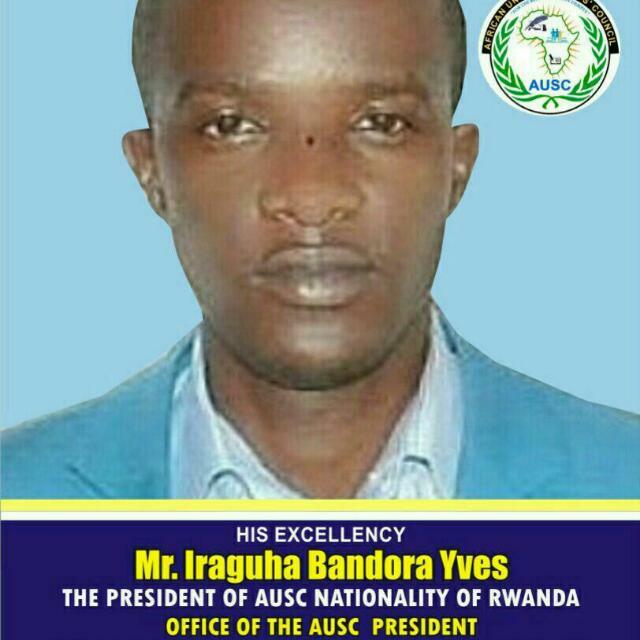 The AUSC President's Office is very sure in August 30th,2017 until 1st, September, 2017, we will have all AUSC Leaders and other many African Youth from all the Corners of Africa and African Diaspora , who will be gathered here in Kigali-Rwanda for this special AUSC's " 1st PAN-AFRICAN YOUTH CONGRESS(1st PAYC )" ,to take place in August 30th- 1st September , 2017, in Kigali -Rwanda, where soon the Online Registration link will be available on the AUSC International Website[www.africanunionsc.org]’[www.africanusc.org]'[Instagram:@africanusc]'[Twitter:@AUStudentsCoun1/ @AuscOffice]. Theme:"Youth of AFRICA within a true Trust: nothing will make more happy in life than to see that our youth have united by appreciating our varieties but celebrating that we are first and foremost Africans, we are many that are also one". 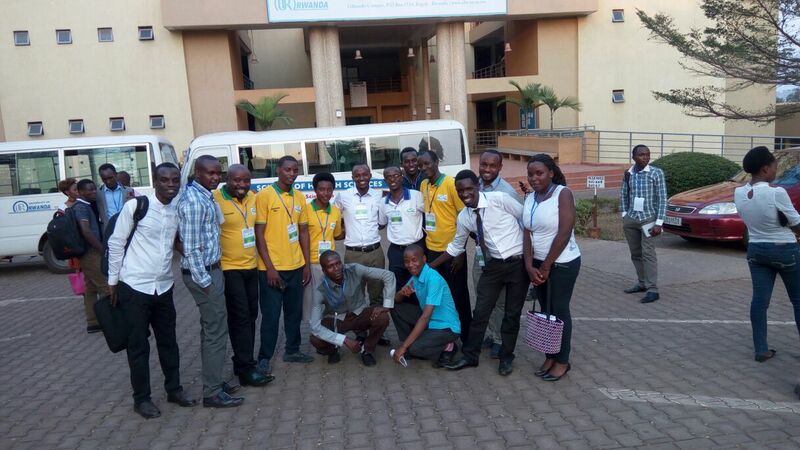 The first Pan -African youth Congress is extremely important where the pan-African intellectuals join their physical and Mental forces together and as an outcome; there is practical ways to integrate and network our youth to contribute intellectually in making the African Sustainable Development Goals (SDGs) be achieved before the expected years 20130 throughout the AfricanUnion Students' Council (AUSC)"For The Better Africa We Deserve" as being invited to visit the AUSC online. The project consultation is attributed to the AUSC President’s Office with AUSC Presidency Special Advisors and Observers Team Members. 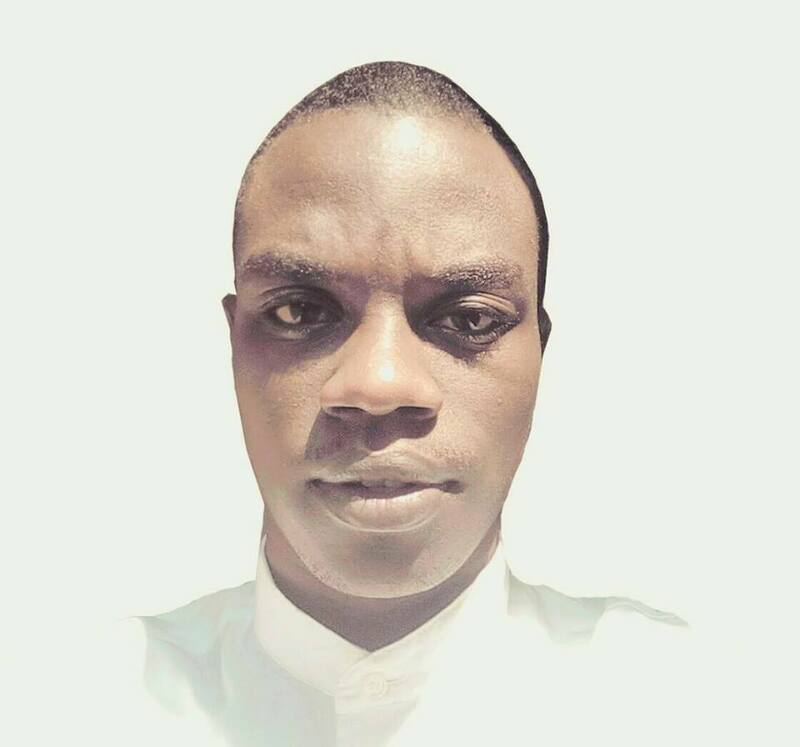 The Senior Consultant for the 1st PAYC is Professor MammoMuchie, AUSC President’s Special Advisor, Nationality of Ethiopia, and Resident of South Africa Republic. 2. AUSC's International News Letter with Title: "African Impact- African SDGs Live from African Union Students Council- For the Better Africa we Deserve". The AUSC President’s Office has decided on creating an AUSC newsletter. With that frame of work, we describe African students being at the forefront of achievement of Sustainable Development Goals within African countries. The AUSC President’s Office has appointed a newsletter editorial team; and then this team aims to coordinate submission of articles. All we need here is to make a call and encourage students from across Africa to submit articles related to achievement of sustainable development goals within Africa. Depending on how frequently we receive articles we can publish the newsletter either monthly or four times a year. 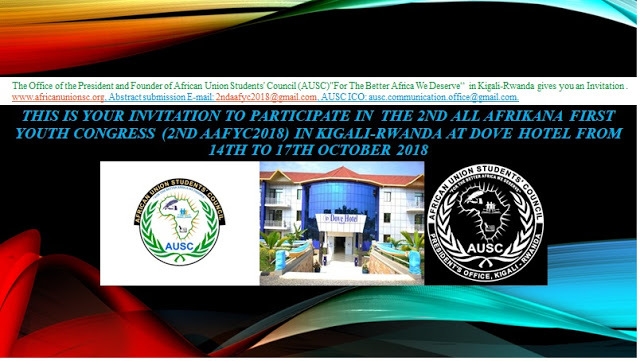 We shall be using the AUSC newsletter to highlight achievements different AUSC committees have made within their countries and in different Africa-Diaspora Offices to highlight the excellent works students are doing. The AUSC President’s Office has allowed the Head of the Editorial Team to be the AUSC International Communication Office. 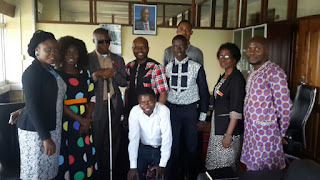 And only AUSC Communication Officers from all African Countries and Diaspora compose theEditorial Team of the AUSC's International News Letter. The consultation office remains the AUSC Zimbabwe National Office fromwhich they provided this idea having that root from the AUSC Zimbabwe National Representative’s Office. For More information please contact the AUSC International Communication Office through the e-mail: ausc.communication.office@gmail.com. 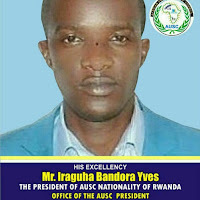 H.E Iraguha Bandora Yves,RN,BScN Hons, MD in Training Doctorate III, University of Rwanda. Tel:+250736196204 available on Whats app.